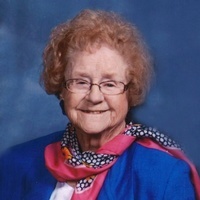 Funeral services for Darlene A. Isenberg, age 91, of Fairmont, MN will be Wednesday, February 13, 2019 at 11:00 a.m. at the East Chain Evangelical Free Church in rural East Chain. Burial will be in the East Chain Evangelical Free Church Cemetery. Visitation will be Tuesday, February 12, 2019 from 5:00 p.m. to 7:00 p.m. at the Lakeview Funeral Home in Fairmont as well as one hour prior to the service at the church on Wednesday. Darlene died Tuesday, February 5, 2019 at St. Mary’s Hospital in Rochester, MN. The Lakeview Funeral Home in Fairmont is assisting the family with arrangements. Darlene A. Isenberg was born on October 5, 1927 to Alvin and Melinda (Miller) Milbrandt in Fairmont. She attended school in Fairmont where she graduated with the Class of 1945. Darlene did secretarial work and waitressing for her uncle in his hamburger shop. On November 26, 1966, Darlene married Roger Isenberg at the Little Brown Church in Nashua, IA. They lived on the farm in the East Chain area until 2005 when they retired to Fairmont. She loved spending time with family and was thrilled to be with her children and grandchildren. She is survived by her husband Roger Isenberg of Rochester, MN; seven children, Trina Brown of Fairmont, Byron (Sandra) Brown of Casa Grande, AZ, Michael (Dixie) Meixell of Fairmont, Alice (Rande) Isenberg of Fairmont, Martin (Kathy) Meixell of Fairmont, Matthew (Elizabeth) Meixell of Paradise Valley, AZ and Carrie (Tony) Hall of Kasson; twenty-one grandchildren; many great-grandchildren; sister, Lila Welchlin of Fairmont; sister-in-law, Berniece Mildbrandt of Fairmont; and many nieces, nephews and other relatives.